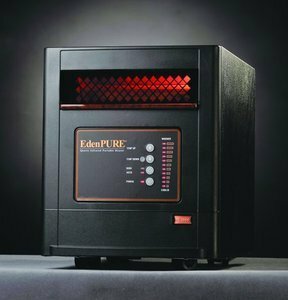 Here at our EdenPURE Parts home page you will find factory parts for your EdenPURE, SunTwin, O3 PURE and other Products. All of our parts are in stock and shipped from our warehouse by dedicated team of parts and service professionals. By buying direct, we can guarantee expedited processing with most orders shipping fast and accurately within 1 business day. 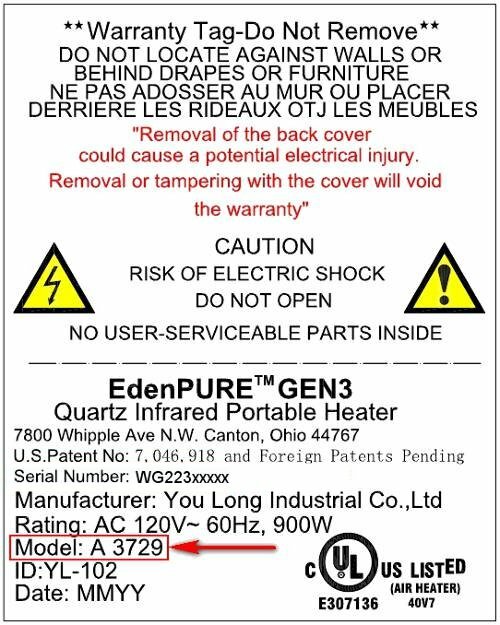 For a list of EdenPURE Heater and other Replacement Parts, Bulbs and Elements to find and buy for your unit, please scroll down and click on the model number of your product. The Model Names are listed for Reference Only. Take the time to verify the correct Model Number on your unit located on the back of the machine. An example of this can be found at the bottom of this page.